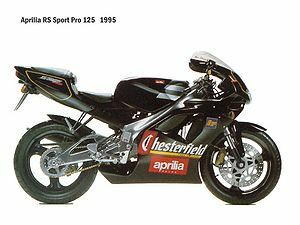 Like Aprilia's RS50, the RS125 has a very high level of equipment, performance and styling for its class. 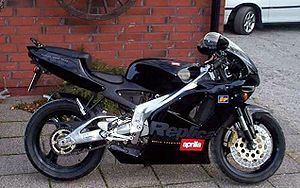 An aluminium alloy perimeter beam frame holds an advanced liquid-cooled two-stroke engine. 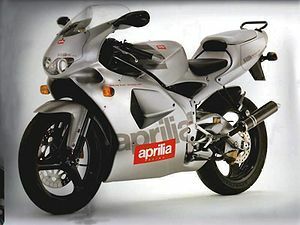 The 125cc single-cylinder motor uses a ceramic-type coating on the cylinder to cut friction and wear, while modern intake and exhaust designs boost power to over 194kW (260bhp)/litre. 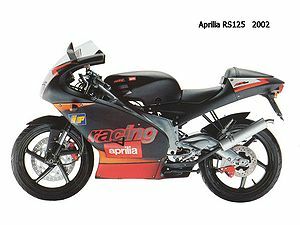 The aerodynamic fairing echoes the designs of Apt-ilia's GP machinery, and there have been various race-replica paint schemes. 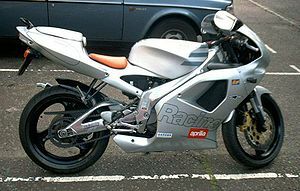 The RS125 has a high-specification chassis design, with wide, sporty tyres, 40mm (0.8in) upside-down front forks and an aluminium swingarm with adjustable monoshock rear suspension, giving fine handling especially on the track. Front Suspension 40mm Inverted forks in high tensile steel. 120 mm wheel travel. This page was last edited on 25 January 2011, at 00:37.